A new concept - Natural beauty! You will discover how emotional and physical balance is the essence of beauty, how aesthetic care can resolve internal conflicts and how you can regain harmony in your being. 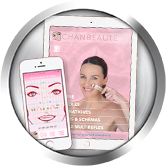 Much more than a simple application, the interactive magazine of Chan'beauté offers you natural solutions to rediscover your authentic beauty. Enrich of a therapeutic dimension your care of esthetics and well-being. Protocols for all stages of life. Well beyond the unattainable ideals imposed by the beauty industry, we find the beauty in every individual. So, from the physical to the emotional we pamper every aspect of your being. Practical Notes to browse and use on your iPad. 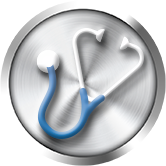 Information on technical, practical and personal advice, along with precise formulas for care, are all at your fingertips. To browse, put your iPad in the vertical position. For treatments place it in the horizontal position. 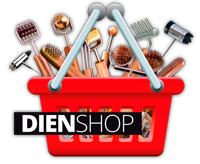 The Dien Chan formulas, that are dedicated to the aesthetic Chan'beauté, can be directly accessed or searched and display the main multireflexology diagrams of reflection. These diagrams show the relationship between the face and the internal organs. Venus Step-by-step: The power of multireflexology serving natural beauty. This section guides you easily through each step; from facial diagnosis and talking to your client (i.e. learning to ask the right questions), to discovering how to apply the therapeutic solutions in relation to the disorder; wrinkles, scars, blemishes and much, much more. A new interactive magazine to consult, study and above all - work with. 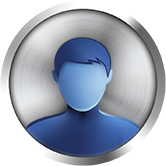 Many professionals still believe that withholding information gives them advantages. However, at EiMDC (the International School of Multireflexology – Dien Chan) we disagree with the argument that «information is power».... It is not! We are convinced that, contrary to widespread opinion, withholding knowledge is a great hindrance to society. We have to overcome the «ego trap». With that in mind we are proud to offer our extensive facial multireflexology - Dien Chan experience, teaching experience and other shared talents in the new interactive aesthetic magazine: Chan'beauté. During two years and with a very active team of researchers, everyone's shared experiences, our students questions and their experiences, we are now offering a wonderful, completely informative reference publicaton for Chan’beauté; the incredible natural beauty technique. With our many years of working as therapists, and teaching in many countries we offer in great detail, the topics and application of Chan’beauté. It is now much easier for students to study and understand the concepts of this multireflexology modality.